Cette propriété est rarement disponible et livre un an à l'avance. La propriété dispose de trois structures: un hangar à bateaux (3 personnes), une maison d'hôtes (4 personnes) et un camp principal (4 personnes). Chaque structure a sa propre salle de bain complète, le camp principal a 1 salle de bain complète et 1/2 salle de bain. Le bateau à rames et le canoë sont disponibles pour les locataires. Véranda surplombant le lac, orientée au sud avec la lumière du soleil toute la journée. S'il vous plaît laissez-moi savoir si vous avez d'autres questions. This camp has all the amenities for a fun and relaxing vacation. Beautiful lake, lots of good hiking trails, golf, and great sunsets. A group of friends and I spent our annual Columbus Day "guys" weekend at Pine Point on Blue Mountain Lake and had a great time. This classic waterfront Adirondack camp has spectacular views from every room and the main deck makes you feel like you're sitting on the bow of a boat overlooking the lake. Whether it's morning coffee on the covered Boathouse porch or evening cocktails watching the sunset from the main deck, you really can't go wrong here. The three buildings (Main House, Annex and Boathouse) all have their own unique character, full of traditional Adirondack styling yet with all the modern amenities you could ask for, and plenty of privacy for larger groups. There are canoes and kayaks available for renters to use or make a quick trip over to Blue Mountain Livery if you want to rent a larger boat. (We did both) We usually try to get away and hike a high peak or two on these trips, but once you're here you really won't want to leave. We spent most of our time out on the lake, hiking Castle Rock and just kicking back on the deck soaking in the incredible views. The owner was easy to deal with and quick to respond. Would highly recommend Pine Point and would love to return. Thanks John, glad you and your friends had fun!! Rarely do the photos (and does the description) not do justice to the property. I can honestly say Pine Point exceeded our expectations. 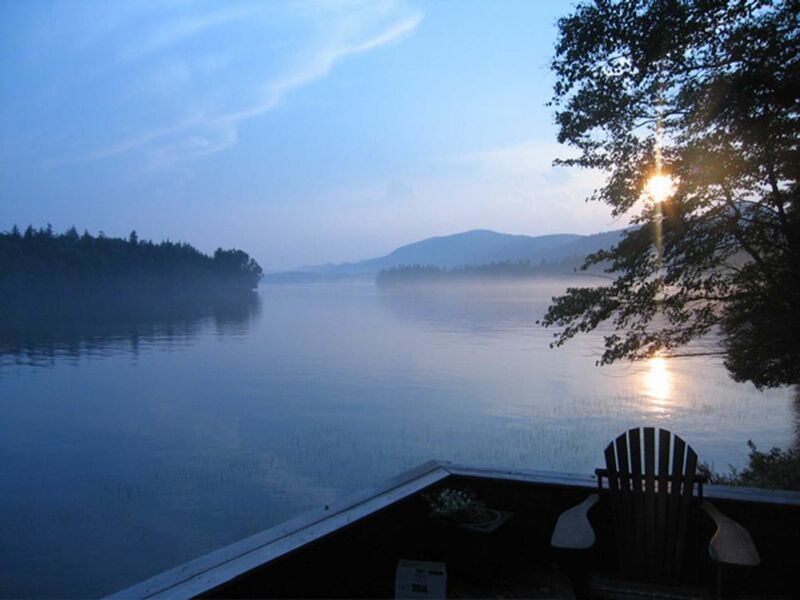 The property had all modern conveniences while still giving a true Adirondack Camp experience. Everything was very clean and well maintained. While only my wife and I stayed, the property is set up to allow ample opportunity for families and friends to gather yet still be able to maintain plenty of personal space - that alone makes this such a unique rental. The owner is easy to work with and responds quickly to questions. We're already hoping to be able to come back next fall. Thanks again! Security deposit is refundable. Payment made in full at the time of booking and is non-refundable.